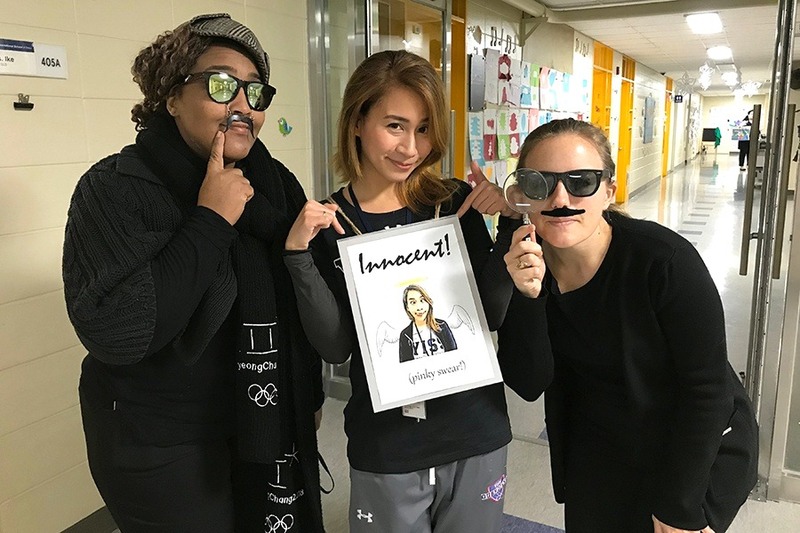 The 2019 YISS Elementary Read-A-Thon saw nearly 450 students read more than 886,000 minutes while solving The Case of the Book Bandit. 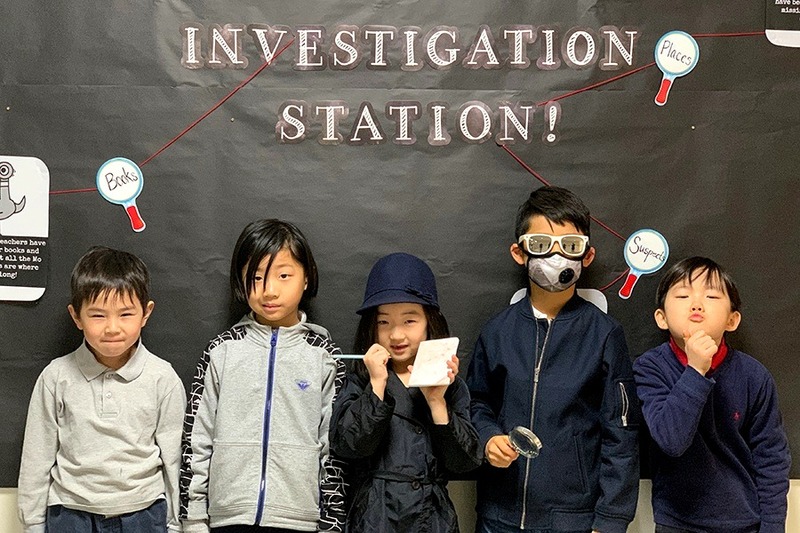 This year’s three-week activity included students dressing like detectives, eating pancakes, dropping everything to read, collecting clues, entering photography and writing competitions, and ultimately growing in their love of reading. The students eventually figured out that Ms. Samson took the book Give a Pig a Pancake and hid it in the cafeteria. 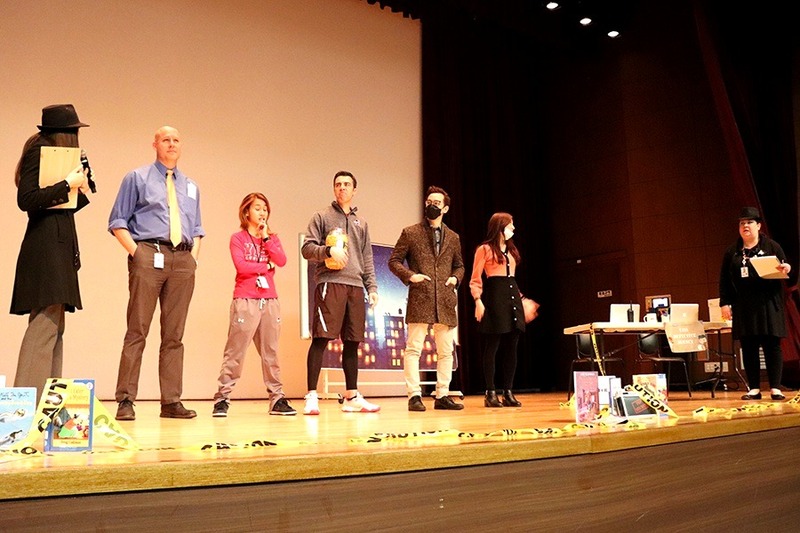 The Read-A-Thon started on February 18 with a kick-off assembly that unveiled this year’s theme and video. The video was produced through a collaboration of Mr. Chan shooting and editing video, Mr. Adams working on the song production and recording, and Mr. Benedict and Mrs. Treviño putting together the song. The music for the song came from the movie The Greatest Showman and saw many of the elementary staff singing and acting to produce the video. Ms. Falkner led the group of teachers that planned out the event. Students had detective notebooks in which they took notes about each day’s clue. Daily clues were posted outside the elementary office for students and staff to see, including information about the five staff who were possible suspects—Ms. You, Mr. Chan, Mr. Treviño, Ms. Samson, and Mr. Marshall. Like the board game Clue, students had to figure out who stole the book, what book was stolen, and where the book was hidden. Throughout the three weeks, students brought their reading logs. Room parents tracked the number of minutes individual students and classes read. Students had three levels of goals to aim for this year. If they turned in a reading log, they achieved Level One. Level Two required students to read 600 minutes (kindergarten), 700 minutes (1st and 2nd Grade), or 800 minutes (3rd-5th Grade). Level Three required students to read 1,300 minutes (kindergarten), 1,600 minutes (1st and 2nd Grade), or 2,400 minutes (3rd-5th Grade). 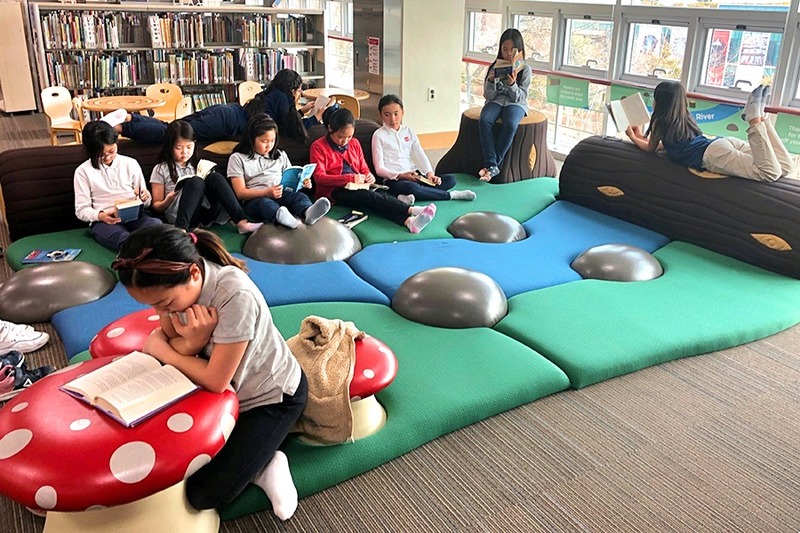 At the end of the Read-A-Thon, 193 students met the Level Three qualifications, 212 students met the Level Two qualifications, and 40 students met the level one qualifications. Besides reading, students were challenged to photography and writing competitions related to the Read-A-Thon. The following individuals won the photography competition: Steven H. (KA), Tia I. (1A), Eleanor P. (2A), Jason S. (3B), Kate M. (4C), Kaiden H. (5A), and Ms. Green (Staff). The following individuals won the writing competition: Nehir H. (KC), Advaita S. (2A), Adelaide L. (3D), Seunghun L. (4C), as well as the group made up of Florine S., Nael L., and Serene H. (5D).